Hinge Booties: Originally $120 ; On Sale for $80 -- LOVE! They come in four colors (some of the colors are sold out but hopefully will be restocked soon!) They are super comfortable and I think they will go with everything! I ordered my usual size and think the are true to size! Vince Camuto Katrina Block Heel Booties: Originally $150 ; On sale for $100 -- LOVE! These come in three colors! They are insanely comfortable and the peep toe is perfect to transition into fall! They fit me true to size, but I've been seeing a lot of people saying to size up a half size. Vince Camuto Fileana Bootie: Originally $150 ; On Sale for $100 -- They come in three colors and I actually bought them in both because I couldn't decide between the two online. I would size up a half size. I don't love these as much as I love the previous two, and my heel pops up a little when I walk, so I may be returning, haven't 100% decided! Vince Cameo Francia Bootie: Originally $150 ; On sale for $100 -- These come in four colors! This is another pair that I am not 100% sold on, and may return- I haven't decided yet though. I bought the black pair and think they are super cute, but I have something similar. They are a little snug so I would go up a half size. I know some of these are sold out, but I heard through the grape vine that Nordstrom will be doing a huge restock right before the sale opens to the public on Friday! Let me know if you have any questions about these booties! You're making me SO excited for fall! These booties are all so cute. I def have my eye on a few for this year. Ohh so cute! Can't wait to start shopping on Friday!! Thanks for the adorable suggestions! I love all your boot purchases! They had so many great options this year! Those open toe booties are some of my favorites that I scored! 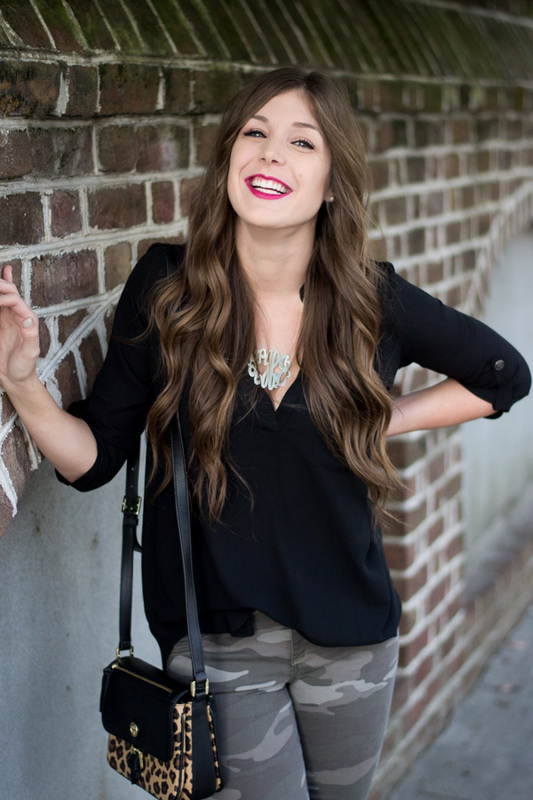 Such a cute look for right under $100! I bought those grey booties, too and they are so fun and gorgeous! These boots are amazing! great picks! There are seriously so many great booties on sale! Love them all! love your picks! I'm in need of a black pair of booties this year and those katrina block heel booties just might be the pair! I'm always a fan of booties! These ones are all so cute, will definitely have to consider these when I shop the sale! So many cute booties here!! I just bought so many pairs of leather mules, I'm in love! i love your picks! All of these boots are ones that I've been eyeing myself! I got the Vince Camuto ones myself and I'm so excited to get them in. 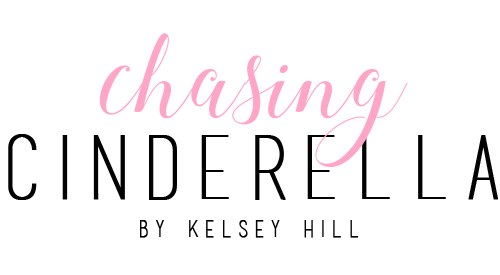 I love grabbing a pair of booties from this sale! I bought two of the Vince camuto's too! So excited to wear them! Such great picks! I bought the Hinge pair and love it! Love every single bootie and can't wait to shop the sale!! Ahhh booties are my faveee! I love them for the fall, and can't wait to break mine out *soon*. So many great booties! I think Vince Camuto makes some of THE comfiest shoes! 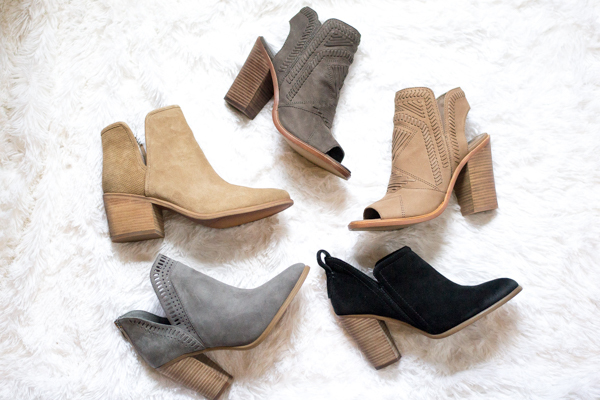 I loveee all of these booties! They are the best shoes to wear! So comfy and cute!! Nordstrom Anniversary Sale Shoes with a lot of amazing designs of shoes especially for the women. Infect, The whole website is all about the women. Actually, I want pop over here to get more valid information related to shoes. I love Vince Camuto and the Felina bootie is SO pretty!